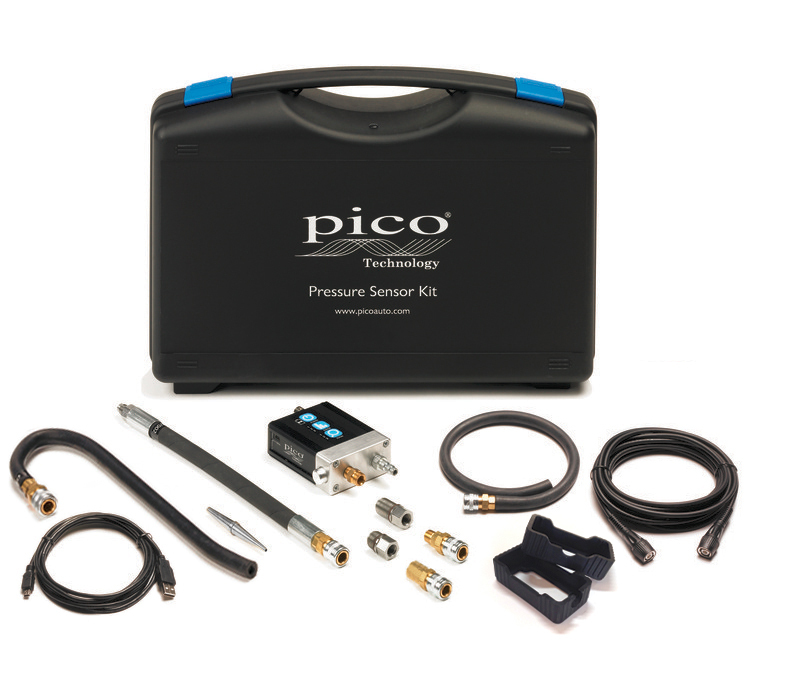 The three pressure ranges allow for accurate measurement and analysis of many automotive pressures including cylinder compression, fuel pressure, intake manifold vacuum and even exhaust pulses from the tail pipe. The transducer features an extremely fast 100 µs response rate from 0% to 90% of full scale and sensitivity down to about 5 mbar (about 0.07 psi). This provides accurate representation of rapidly changing signals that span across a broad pressure range such as cylinder compression while the engine is running, even during a snap-throttle test. Also included is a unique zoom function which allows users to ‘zoom in’ on signal components such as valve pulses from the intake or injector pulses from the fuel rail. For use with a PicoScope. Can be used with other scopes and/or DVOM's, but may require a BNC-Banana jack adapter. The cost of the kit includes shipping to the U.S.
Canadian customers: Please contact our Affiliate in Canada Mike Jones Auto Engineering to avoid the additional expense of shipping from the U.S. 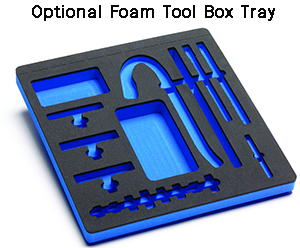 When shopping around be sure to compare kit contents, we've added useful items to the kit. * indicates items we add.